Holding and maintaining a mortgage is not an easy task. It requires a head for long-term planning, a skill that does not come naturally to a lot of us. As homeowners, however, you have an invaluable tool called a Payment Schedule Template. 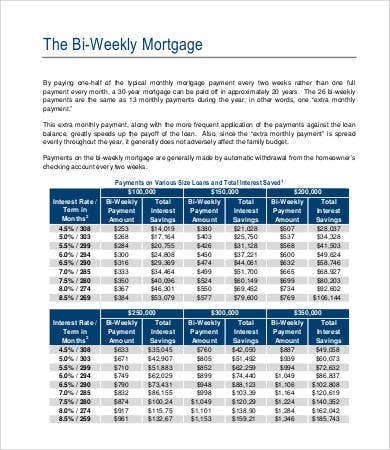 These mortgage payment schedules can also be called amortization schedules, but instead of keeping track of regular loan payments, these are tailored specifically for mortgage loans. 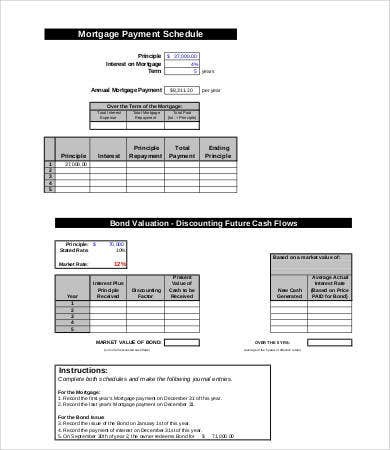 You can easily track and document the periodic nature of the payments you make toward your mortgage using these free templates. For your convenience, they are set in PDF and Excel files you can modify to your liking. What Are Mortgage Payment Schedules? If you have ever used an Amortization Schedule Template or a more general Loan Payment Schedule Template, you will already have a strong idea of what mortgage schedules are since they are basically the same thing. If this is your first time encountering the idea, it is not difficult to pick up. Amortization is the process of paying off a debt—in this case, the debt for a residential mortgage, the loan you took on your house. An amortization schedule is merely a table schedule that shows each payment due over the mortgage period. The amount for each payment is determined by an amortization calculator. Each payment will contain a portion for the interest, while the rest goes toward the principal balance. How Do I Make an Amortization Schedule? There are formulas you can find online that teach you how to calculate things on your own, or how to code Excel to calculate it for you once you input the numbers for the above cells. The Microsoft Excel schedule templates provided here give you an easy way out, with the necessary calculations already coded in. All you have to do is input the numbers. 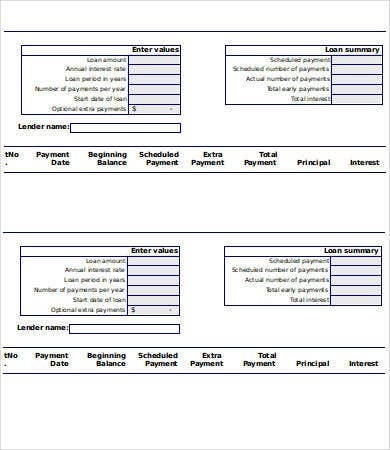 Can I Use These Templates for Regular Loans? You certainly can, if you know what you’re doing. 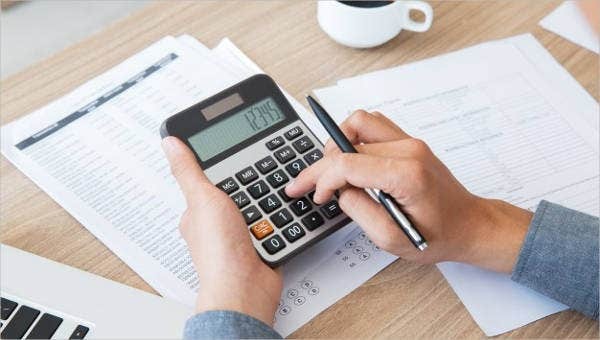 If you are specifically looking for a Loan Amortization Schedule, we provide specific resources for those as well, readily usable and completely free of charge, here on Template.net. 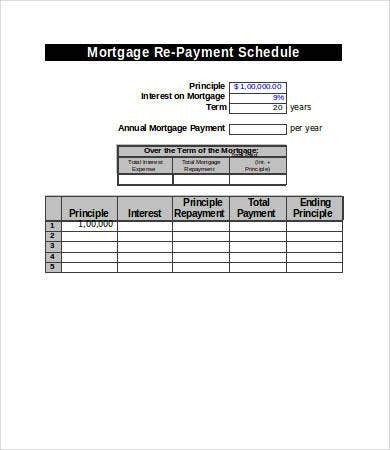 The templates on this page are for those who went to our loan schedule collections looking specifically for mortgage schedules. Whatever you’re looking for, you’ll likely find it in our archives. Go check them out! Safe to say the PDF files can be mainly used for reference if you are looking to start drafting your own mortgage payment schedules. They will act as blueprints to show you how a completed payment timetable will look. You’ll notice that the amount paid toward the principal and toward the interest are separately and clearly indicated. The Excel downloads are a little more handy in that they are completely editable. If you see that they mostly fit your requirements, they can be easily downloaded and modified in your computer.